Slab Foundation Repair Plano, TX. 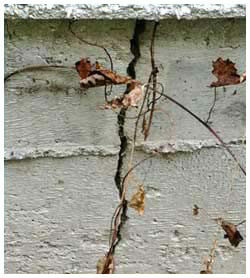 Is Concrete Slab Foundation Repair In Plano, TX Needed For Crack Damage? 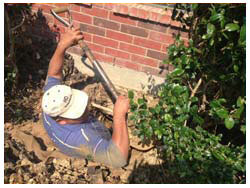 If Plano slab foundation repair service is required due to cracking or other issues, contact HD Foundations. We’ll evaluate your structure and provide you with an estimate at no charge. 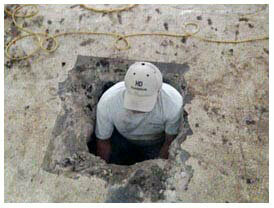 At HD Foundations, we offer expert slab foundation repair in and around the Plano area. If your foundation damage has become an issue and leveling would be helpful, we can stop those issues. About Slab Foundation Repair In Plano. In the event you see cracks in your concrete slab, it’s best to take preventive measures immediately. There are many common problems with slab foundations, including cracking, bending and settling. If you believe your foundation is no longer level and has issues, it could be that your concrete slab is sinking into the ground. To stop issues like slab damage, protect your Plano house by contacting a slab foundation repair contractor. It’s important to note that concrete slabs are 3″-4″ thicker at the edges than they are at the center, and are reinforced with strong steel cable. Nonetheless, it’s one thing to have cracks that are 1/16″ wide, and a whole different thing if cracks are 1/2″ thick. To preserve your property, stop damage now. Get Prices For Slab Foundation Repair On Damage. It’s important to obtain pricing on problems before enlisting a contractor to make any slab repairs. After having your foundation examined, HD Foundations will provide you with a free foundation estimate that outlines what slab foundation repair costs based on your particular situation. Contractor prices in Plano are based largely on the number of interior or exterior foundation piers required to elevate your foundation as well as the extent of the crack damage you have. The cost of fixing the foundation on your concrete slab is something we’ll provide to you in writing. Small residential projects may cost less than $2,000, while the slabs on commercial structures could be very costly and be more than $20,000 to fix. Any estimated repair prices we provide to you will also include the cost for installing any concrete or steel piers you may need. If we determine that your Plano property would benefit from a foundation drainage system around your slab when fixing your structure, we’ll provide you with cost estimates for installing that as well. Why Leveling Helps Slab Foundations. It’s helpful because it makes your slab even, and restores your foundation to its normal position. It also helps you avoid costly slab crack issues that require repair. 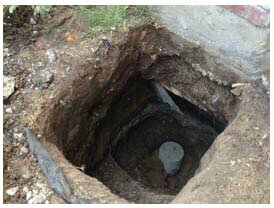 So if you need slab foundation leveling, ask us to inspect your damaged structure in Plano. Just go online today and to schedule a free slab foundation repair estimate on your house, commercial structure or apartment. We’re experienced contractors with an A+ (BBB) Better Business Bureau rating.